This is a very simple pattern with a few easy embroidery stitches. 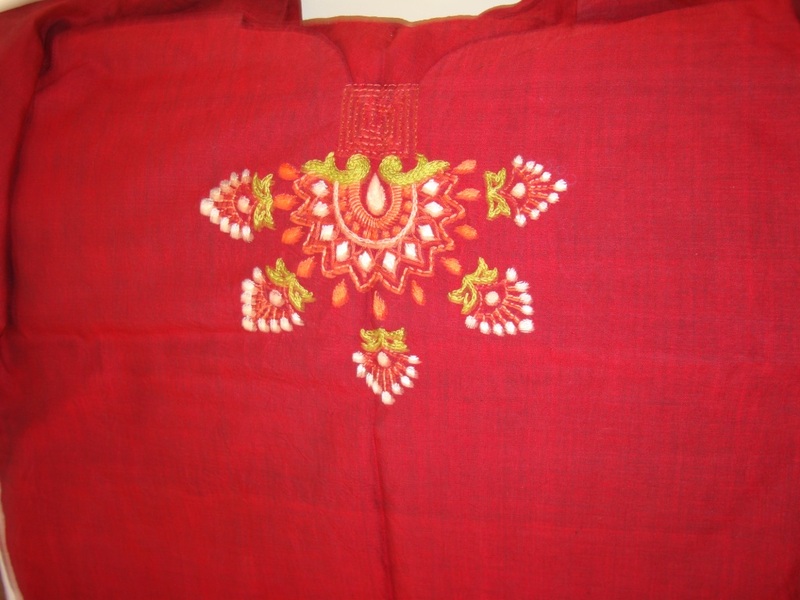 The fabric is a plain handloom cotton in dark red. 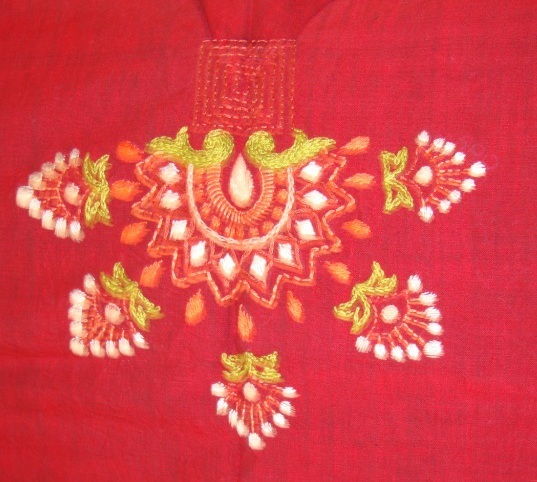 The stitches used are- satin, back stitch,chain stitch and buttonhole. The threads are anchor cotton skeins. The embroidery was done on a sewn tunic.the neck design had flat base , which I used for a concentric square[is there such a term?] pattern.I should have used a more prominent lighter colour. Then the main embroidery pattern surfaced, this also helped in making a fan pattern instead of the usual semicircle pattern, which we is commonly seen. 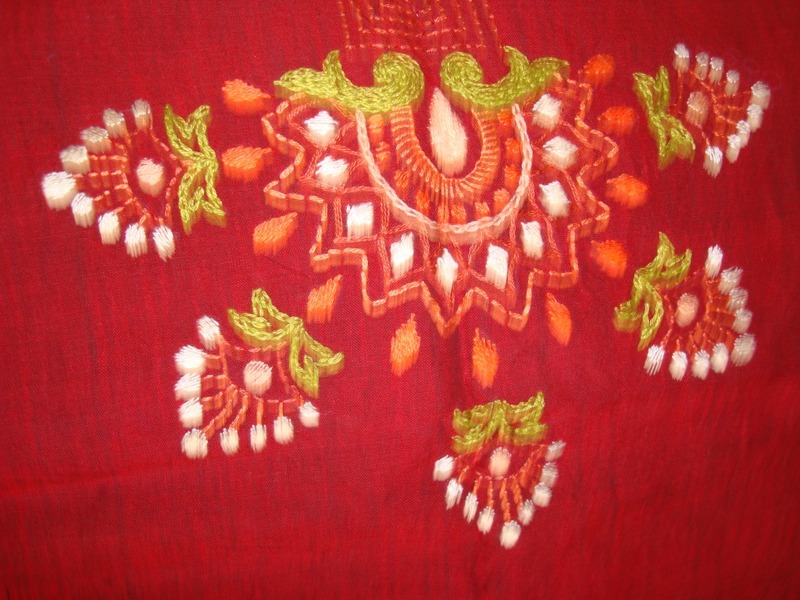 The embroidery did not take much time at all, changing the colour of the threads did. Thinking over, this was a satisfying piece.,though the pictures aren’t so good.